(TibetanReview.net, Sep27, 2014) – In order to put up a propaganda display of Tibetans being happy and enjoying life under Chinese rule, the authorities in the protest-devastated county of Nagchu Prefecture, Tibet Autonomous Region, have ordered local villagers to take part in an annual picnic festival or face severe consequences, reported Radio Free Asia (Washington) Sep 25. Those who disobey would be banned from collecting caterpillar fungus during the annual harvesting season and thereby deprived of their livelihood. They could also be jailed in the new prison being built in Tsamdo Town. The local Tibetans had stopped observing the annual picnic festival some five years ago when Tibet was hit by a wave of protest self-immolations against Chinese rule. In many parts of Tibet, people stopped celebrating Losar, the Tibetan New Year, despite enticement as well as threat and coercion from the Chinese government. The Chinese government order especially requires young Tibetans living in Driru County to display excitement and enthusiasm in enjoying the annual picnic festival. In order to boost the festival crowd, local residents have been ordered to call home family members who may be travelling or living elsewhere. 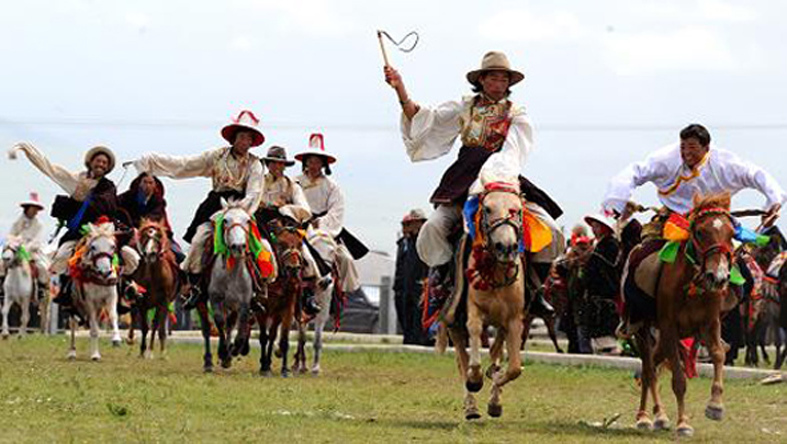 In preparation for the festival, whose date the report does not mention, the residents of the nine villages of Tsala Town, for example, are being made to practice songs and dances, the report cited a local source as saying. Most of the residents appeared to be resigned to obeying the Chinese government orders.